Back in the day, I used to spend hours and hours to finish several friendship bracelets for my BFFs and some I actually sold to classmates who didn't have the patience and time to even finish one. I used embroidery threads of different colors and carefully tied knots one by one meticulously to create a lovely present to my close friends. It came as a lovely surprise to me that this retro-trend exists now in a form or rubber loom bands. The first few times I heard about it and read it online, I thought to myself, those looming sets are not going to be seen at home ever because I don't have a daughter. I was WRONG! My school boy Dandre is hooked into looming and was influenced by his classmates. I asked, "Isn't that for girls only?" He replied, "Of course not Mommy! Other boys in school my tropas aslo wear and make loombands po." This is just a basic fishtail loom band. Now, here's what I can do, thanks to my son Dandre for teaching me! A hexa-fishtail! I now know why this is addicting. First, it takes your mind off your stressful work maybe or a sadness from a recent life event. Next, it thrills you that you get to create something beautiful. Roooiiight! That's Daddy Practicality Macky mastering the fishtail and then graduating to doing the triple single loom band and hexa-fishtail too! The boys even search YouTube for instructions how to make these complicated loom band patterns. The youngest of them all is not yet looming but is included in all the looming affairs of his brother and daddy. 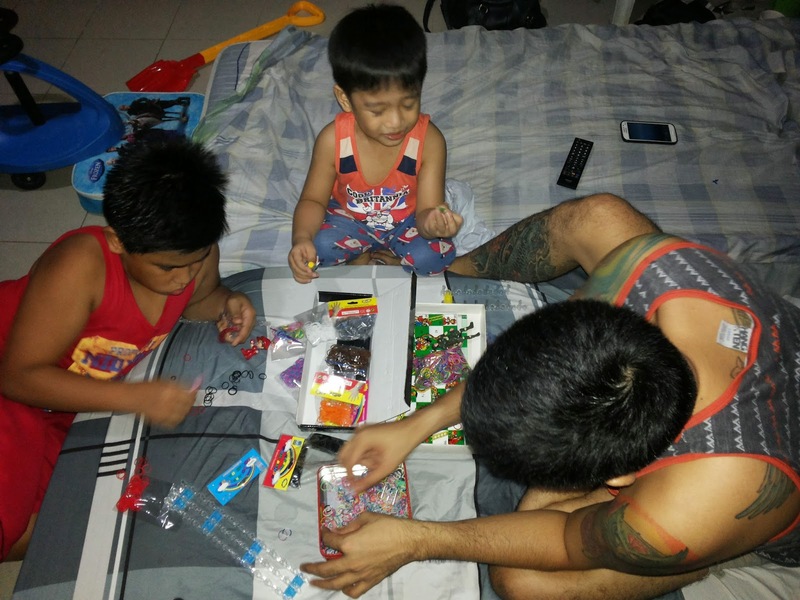 He likes bothering the two older boys when they're organizing their rubbers and color segregating them. In fact, as of writing, the colored loom bands are already placed in a kit that has dividers. Here now are the finished creations of Kuya Dandre and Daddy Macky. 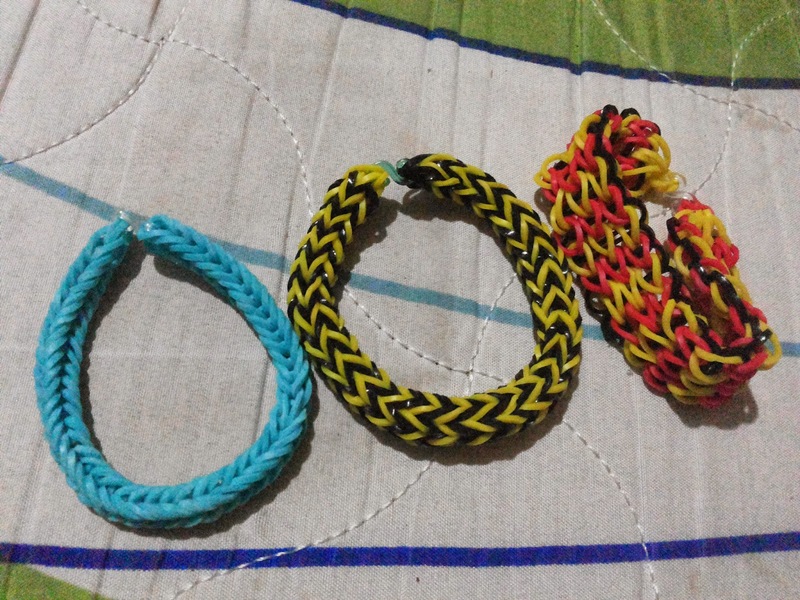 These are: Single Fishtail, Hexa-Fishtail and Triple Single Loom Band. 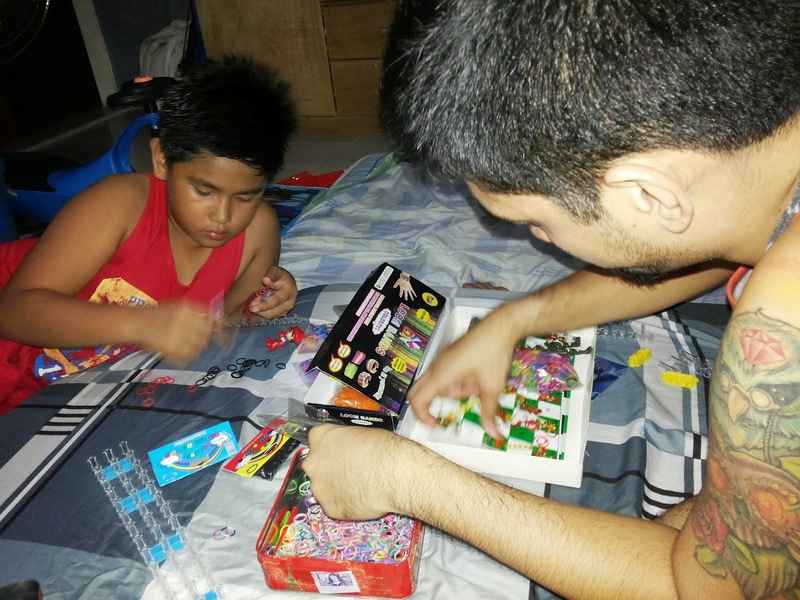 I'm still amazed at the fact that my boys are into looming. It was very wrong of me to doubt them. Well, for what it's worth, I'm glad our family has gotten into this hobby because it had benefited our family in more ways than one. Teaches Organizational Skills. Color-segregating the bands is a start. Boys aren't the most organized people on earth, but looming could teach them how to be one. Cultivates Creativity. It takes creativity to make something pretty and color-coordinated or matchy-matchy. 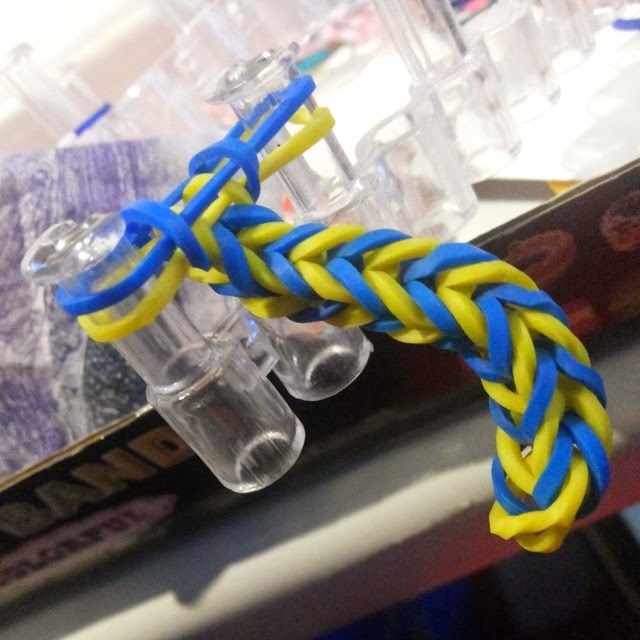 Looming could awaken the creative hearts of anyone really! Brings Out Resourcefulness. Because of the different patterns of these loom bands, my boys do their research how to create simple to the more complicated styles. Teaches Patience and Perseverance. Making one is not easy. Making one doesn't happen in a flash too. There may be times that you loom the bands incorrectly which will require you to un-loom them or start over. 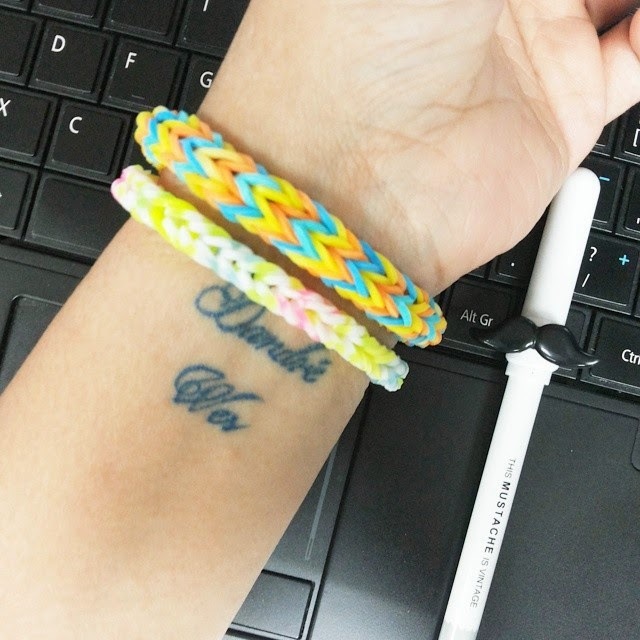 The goal is to finish one bracelet and to do that, one needs to be patient and to persevere. Sharpens The Mind. Learning a new skill makes the brain cells and nerves active. A Great Family Bonding Activity. Instead of holding a gadget each, our family bonds over this activity. We work together, we teach each other, and we appreciate each other's works. Happiness for the family is just by simply being together. This activity just did that and for it, LOOMING ROCKS! Definitely for my boys, too. But their daddy is not into it. He simply doesn't have the patience to do it.